Exposure to weather and moisture penetration into gaps and cracks contribute to the growth of rot on wooden window frames. Once rot begins, it can spread quickly, and whole sections of a frame can begin to crumble away. Although the damage may appear beyond repair, you can often make seamless restorations with two-part wood fillers. These fillers, which contain either epoxy or polyester, are easy to shape and harder than the wood you're repairing. 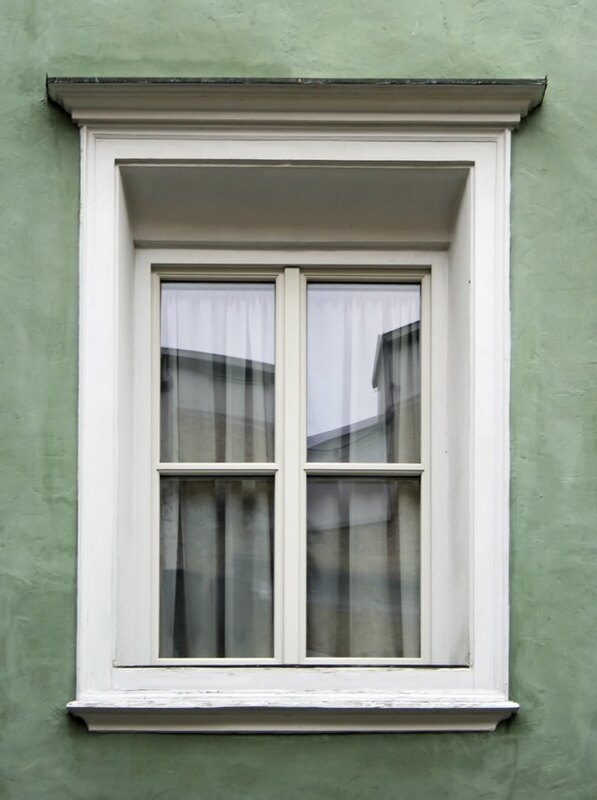 The sill and lower corners of windows are most vulnerable to rot. It's usually easy to tell whether part of a wooden frame has rotted -- the wood has large cracks, and some of it may have already crumbled away. Not all rot is obvious, though. Some may be behind an outer facade of good wood or hidden under the sill. Excavating the entire frame with a probe, such as a flat-head screwdriver, is usually necessary to get a complete assessment of rot damage. If the rot is confined to the sill and outer frame, it's usually repairable. If it affects the whole window, including the interior casement and the window frame itself, you may want to consider replacing the window. Before you can effect your repair, you need to remove all the rotted wood, either by scraping it out with a screwdriver or knife, or cutting off the affected pieces. Rot tends to collect in corners between two adjoining pieces of wood, and you may have to cut both of them off to make the repair. Dig deeply enough to remove as much crumbling wood as possible. You may not be able to get all of it; some of it may be behind solid material that you want to leave in place. You can stabilize crumbly wood that you can't manage to scrape away by coating it with a penetrating wood hardening product. Brush on the hardener with a paintbrush, and after it solidifies, you can fill the cavity with two-part wood filler. The filler, which is similar to auto body filler, must be mixed with the hardener that comes with it in the manufacturer's recommended proportion. It remains pliable for about 15 minutes, which is enough time to trowel it in and smooth the surface. It retains a spongy consistency for a short time after it sets, allowing you to shape it with a knife or putty knife before it hardens completely. Once you've cleaned out the rotting wood and filled the cavities, you can either use additional wood filler to mold facsimiles of the visible portions of the frame that you cut or scraped away, or you can attach new wood. The hardened filler provides a suitable substrate for screwing and gluing additions to both sills and trim, and it also effectively fills the joints between new and old wood. Before finishing with primer and paint, contour the new wood and filler as needed with a hand plane, then sand with 100-grit sandpaper to create a smooth, seamless surface.